The first log cabin birdhouse I ever saw was the one pictured here. 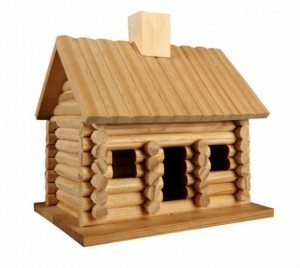 Okay, so it’s your basic wooden bird house that just happens to be shaped like a log cabin. 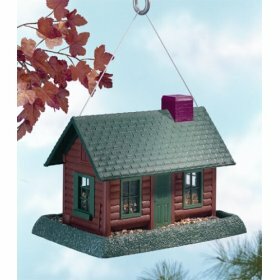 Following are some unique birdhouses that are built to resemble log cabins in one way or another. 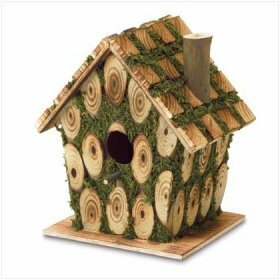 You can use them as inspiration when building your own rustic log cabin birdhouse (tutorials at the end of this post). 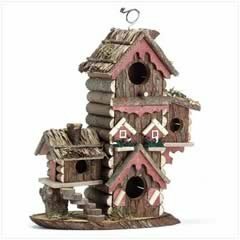 Or buy one as is and show the birds near your home some generous hospitality right away! 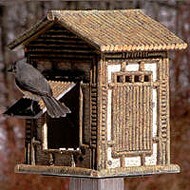 Similar to the rustic birdhouse pictured above. 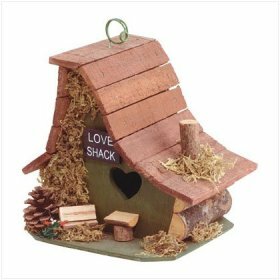 It’s the love shack… for love birds, and others, too! This one is known as the “Big Twin Inn” — hotel & lodging just for the birds. 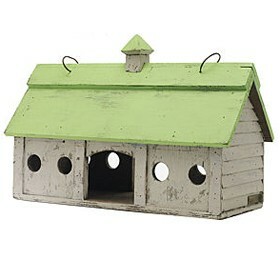 A rustic stable barn shaped birdhouse with a green roof. A thatched split-level bed and breakfast for travel-weary birds who need a rest and a bite to eat. 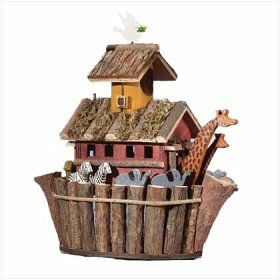 Chances are you’ll attract more than 2 birds at a time aboard the Noah’s Ark birdhouse! A barn-style birdhouse with a blue roof. A gingerbread style birdhouse… think of it as a birdie treehouse! 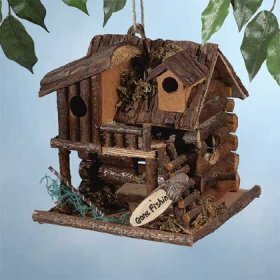 For the diehard fishermen… a rustic fishing lodge birdhouse. 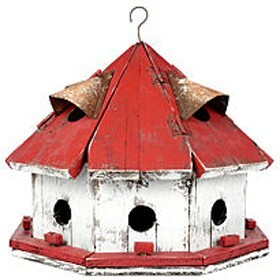 A rustic white barn bird house that’s circular in shape and has a red roof. 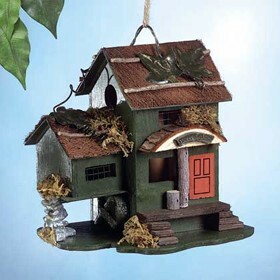 A traditional birdhouse that is unique in that it’s got green moss growing on the sides! A birdfeeder that closely resembles a traditional log cabin home. 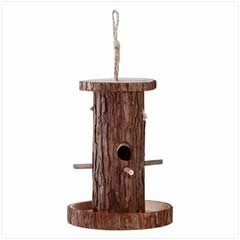 Crazy for log things?… You’re gonna love this classic big log birdfeeder.